The two companies have signed a supply and distribution agreement regarding sales and marketing of FlexQube products in connection with the STILL Liftrunner® system. Read the complete press release in English or in German. The agreement will make it possible for STILL customers to buy FlexQube products through the STILL sales organization in Europe. FlexQube will deliver material handling carts and trolleys to the Liftrunner® material handling solution which is part of the STILL product portfolio, either directly from STILL or FlexQube. The Liftrunner® tugger train solution is a market leading solution for transport of industrial carts at production plants. The system enables efficient transport of material on carts throughout the plants. 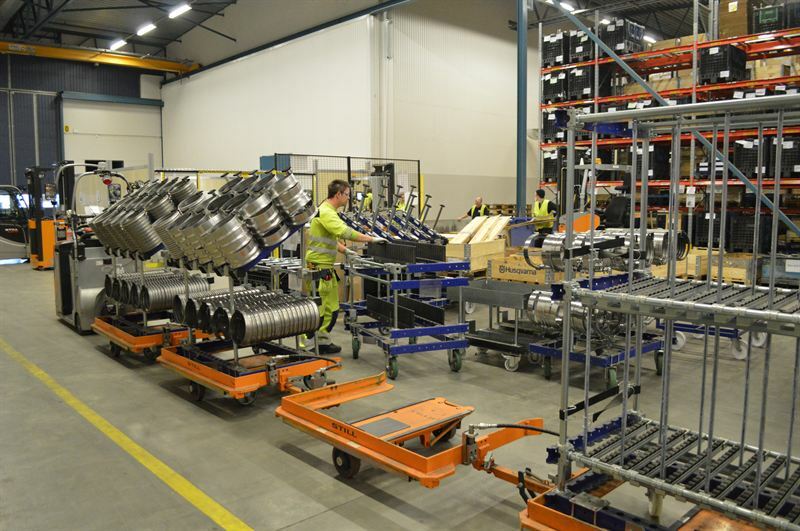 With the FlexQube integration the customers will gain access to a unique, modular and flexible cart concept that together with the Liftrunner® system forms an industry leading combination and state of the art material handling solution. Find more information about the possibilities with integration between this state of the art mother daughter cart system from Liftrunner and FlexQube dollies here.